This up-to-date introduction to Griffiths' theory of period maps and period domains focusses on algebraic, group-theoretic and differential geometric aspects. Starting with an explanation of Griffiths' basic theory, the authors go on to introduce spectral sequences and Koszul complexes that are used to derive results about cycles on higher-dimensional algebraic varieties such as the Noether-Lefschetz theorem and Nori's theorem. They explain differential geometric methods, leading up to proofs of Arakelov-type theorems, the theorem of the fixed part and the rigidity theorem. They also use Higgs bundles and harmonic maps to prove the striking result that not all compact quotients of period domains are Kähler. 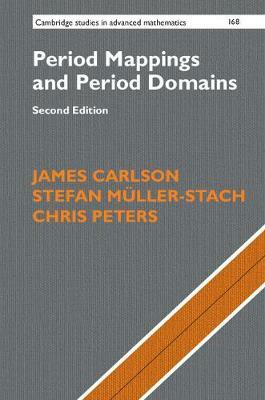 This thoroughly revised second edition includes a new third part covering important recent developments, in which the group-theoretic approach to Hodge structures is explained, leading to Mumford-Tate groups and their associated domains, the Mumford-Tate varieties and generalizations of Shimura varieties.